Call for Club Award Nominations! 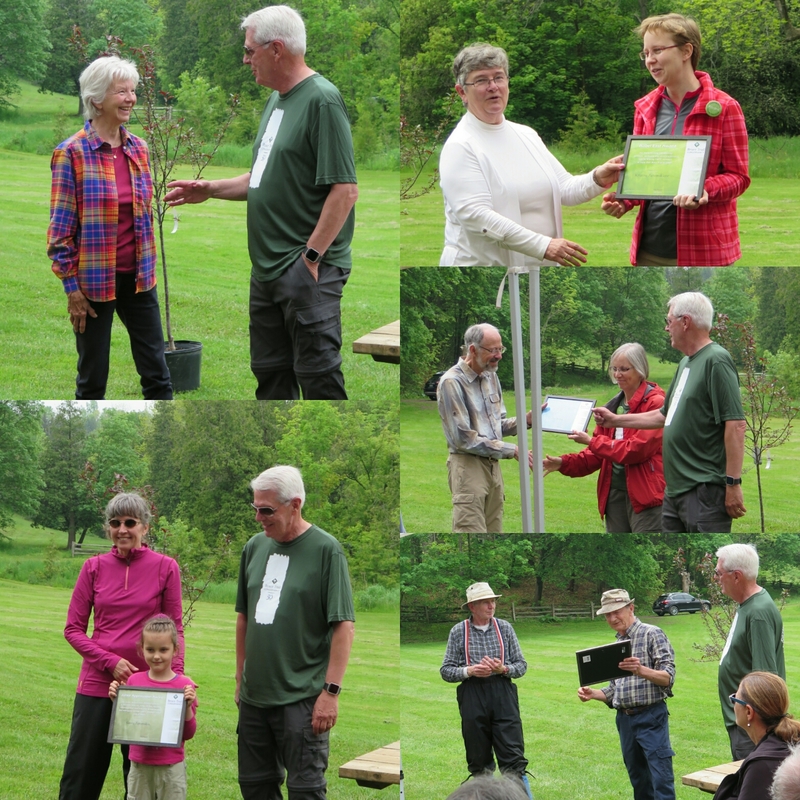 Nominations are now being accepted for the 2019 annual Caledon Hills Bruce Trail Club awards which will be presented at the 13th Annual Volunteer Appreciation Picnic in June. Please read the awards criteria below, and send your nominations to Colleen Darrell at colleen.darrell@gmail.com or phone Colleen at 519-833-2311. Nominations will close on April 15, 2019. Must be a member of CHBTC. The successful candidate will have demonstrated the club’s values of transparency, excellent communication and inclusiveness. The recipient of this award has clearly helped CHBTC members to enjoy club activities. The award may be given for an exemplary demonstration of enthusiasm in a particular project, office or year. It also may be awarded for continued demonstration of enthusiasm over a number of years and/or variety of activities. Must be a member of CHBTC. The successful candidate will have demonstrated active involvement in the physical work of trail maintenance and development. The recipient must have a long-standing volunteer commitment to trail work. The recipient best exemplifies an unsung volunteer commitment to the trail. Must be a member of CHBTC. The award may be given for an exemplary demonstration of dedication and commitment to the Club. The recipient of this award will have demonstrated a long-term commitment to the club, having served as a volunteer for a minimum of ten years in a variety of roles. This award is given out to club members who are under the age of 18 that regularly volunteer their time and have demonstrated a willingness to help CHBTC members enjoy club activities.